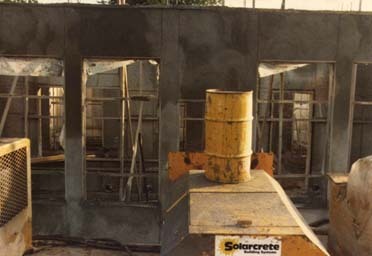 The following construction photos were supplied by The Solarcrete Company. 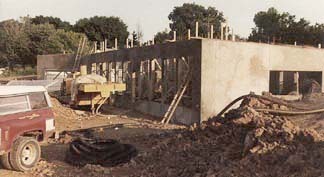 The descriptions are brief comments about the activity in the photo. 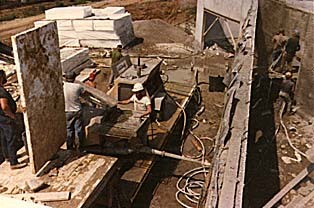 In the beginning, extruded polystyrene is cut. Stacked polystyrene is wired together before spraying. 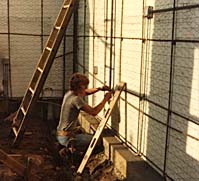 Back wall tied-off and ready for spraying of shotcrete. 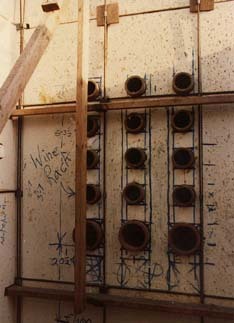 Back wall wine rack built into rear wall of house. 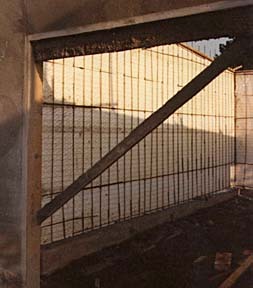 Walls sprayed with shotcrete, wait to dry. Wet walls drying in the sun. Job is complete. Moving on to next stop.